Mildred Irene Robinson, 85 of Orange Park, FL passed away Thursday, September 27, 2018 at her residence. 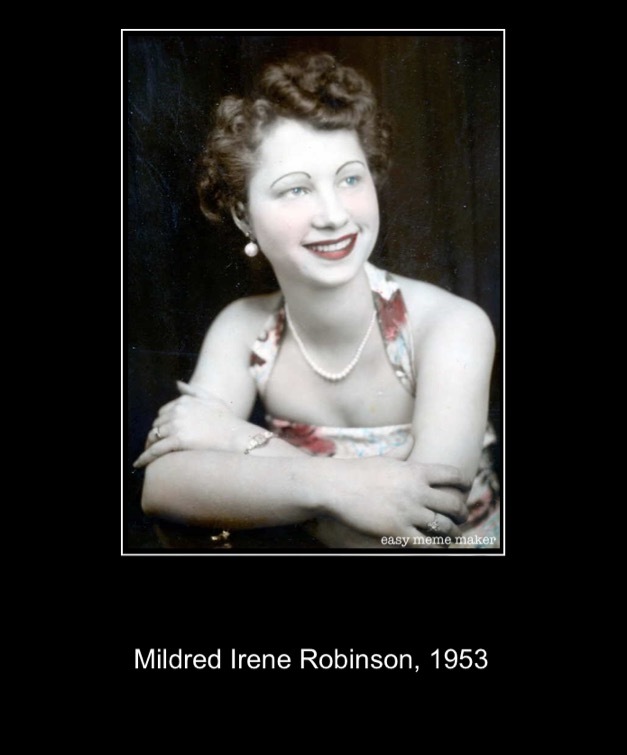 Mrs. Robinson was born in Green Cove Springs, FL to the late John Shedd and Elsie (Altman) Shedd of Green Cove Springs, Clay County, FL, moved to Baltimore, Maryland for nine years and returned to Florida. She was born again as a child at Russell Baptist Church and attended Hickory Grove Baptist. She remained firm in her faith of salvation in Christ and walked with the Lord. She loved her animals and had a green thumb while tending to her many plants. Also enjoyed cooking, but more than anything, she would selflessly labor for the simple reward of making others happy and seeing their smiling faces. Mrs. Robinson is survived by her son, Dean Robinson, sister, June Shedd and five grandchildren, Justin, Kyle, Alysia, Olivia, and Austyn, and 17 great grandchildren. Graveside Services will be held 11:00 AM Tuesday, October 2, 2018 in Russell Haven of Rest Cemetery, Heritage Section with Rev. Ron Baker officiating. A time of visitation with the family will begin at 10:30 AM prior to services in the cemetery.